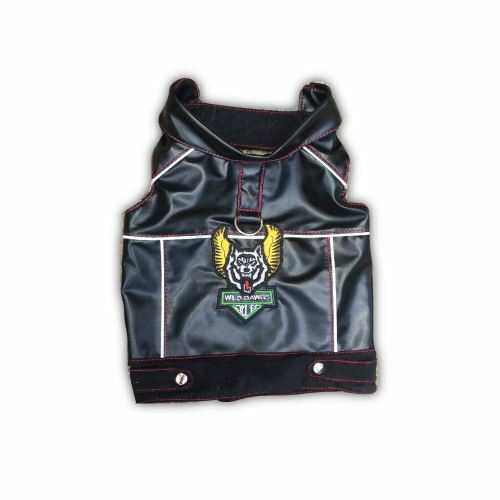 This Faux Leather Dog Harness Wild Dawgs Vest Style is made for your little boy biker doggie. 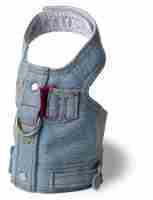 It has metallic accent buttons and check out "Wild Dawgs" emblem on the back! 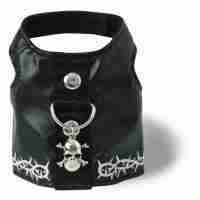 The Faux Leather Dog Harness Wild Dawgs Vest Style has a solid D ring for leash attachment.